HTC today announced a scaled down version of its flagship Windows mobile device HTC HD2 as HTC HD mini at MWC 2010. HTC HD2 launched last year is the smartphone with the biggest screen. HTC HD2 is based on Windows mobile 6.5 and has HTC Sense UI over it. HTC HD mini has the very same design of HD2, but has smaller screen size. HD2 has multi-touch in its browser and some other applications. It is first such experience in Windows mobile device, made possible using HTC Sense. The same HD2 experience will be available in HTC HD mini with small changes in specifications. It is designed as an alternative for those who cannot afford the price of HD2. Microsoft added touch support in Windows mobile 6.5.3. The HTC HD mini includes WM OS 6.5.3 plus the same HTC sense in HD2. So you can expect a great muli-touch browser experience like that in iPhone. The same 5MP camera in HTC HD2 is available in HD mini, but it doesn’t have dual LED flash. Also processor speed changed to 600 MHz from 1GHZ. HTC HD2 has a special weather service that change the home screen based on the climate of location. And there is an application HTC peep for Twittering. But we are not sure about these and many other software applications in HTC HD mini. HTC HD2 is one of the first Windows mobile device with capacitive touch screen. HD mini follows this. It has 3.2 inch 65K color screen with 320 x 480 pixels resolution. There is accelerometer, Proximity sensors and multi-touch to improve user experience with this screen. 3.5 mm headphone jack and Micro USB for charging and data transfer. HTC HD mini has 384 MB RAM, 512 MB ROM, Bluetooth with A2Dp, FM radio with RDS, A-GPS, Li-Ion 1200 mAh battery, Digital compass, 5MP autofocus camera that can take photos at 5 MP, 2592 x 1944 pixels, video recording, WiFi,EDGE, GPRS, upto 16GB expandable memory etc. HTC HD mini supports all latest network standards. Its a quad-band GSM phone with 3G (HSDPA 7.2 Mbps; HSUPA, 2 Mbps). 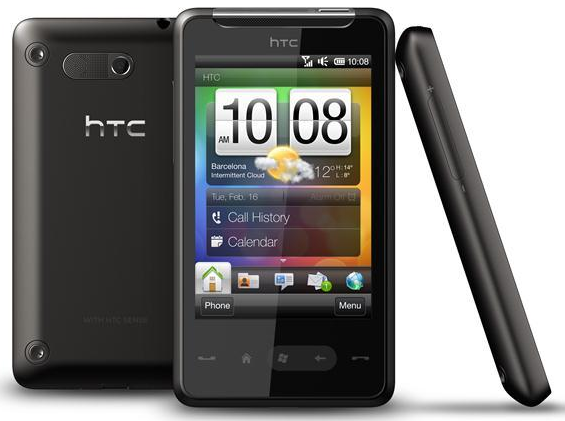 The current market price of HTC HD2 is 800USD. HD2 is available in India though Tata Docmo stores for 37000 INR. Considering the changes in spec sheet, we believe that the price of HTC HD mini would be around 650USD in US and 32000 INR in India. HTC will launch HD mini in selected markets from April of this year. 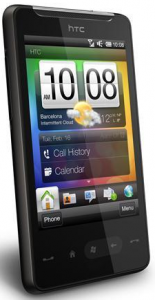 Updated: The HTC HD mini is now available for pre-order at Amazon UK store for a price of £369.00. If this information is correct the device can be collected from the store from this April 5. Converting to USD with current rates, the cost of HTC HD mini in US is 560$. This rate is reasonable for Windows mobile phone, and its far less than the original HTC HD2. HTC HD mini is now available Singapore for 748 Singapore dollars. I like it. The screen on the HD2 is ridiculously big, they have gone a little too small though.